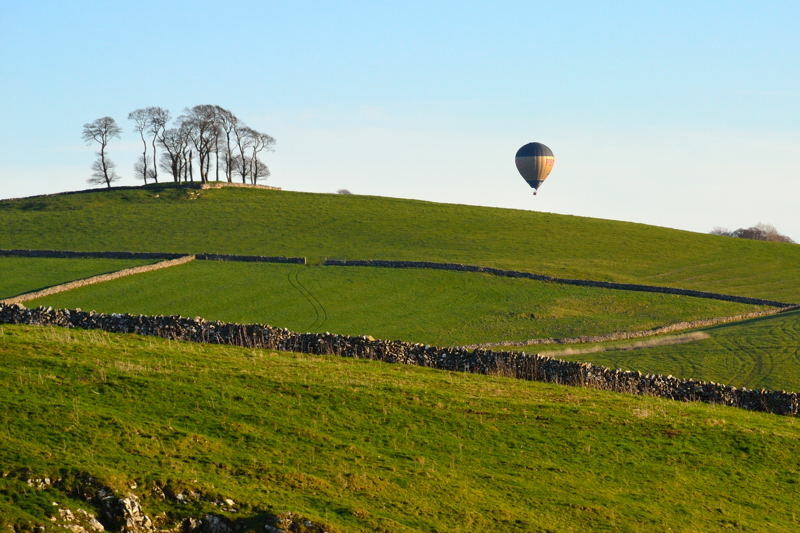 A photo guide to walking in the Peak District illustrated with maps and photographs. 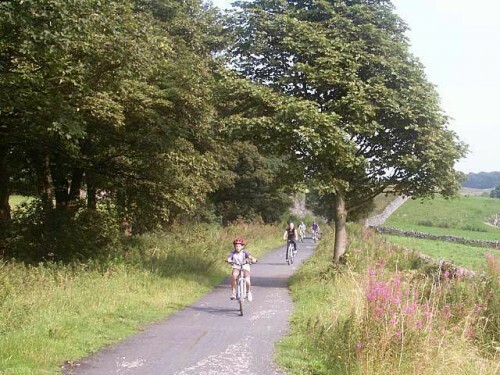 A 36 mile cycle ride in the Peak District starting from Ashbourne. Difficulty: Easy with some steep sections. Refreshments : Ashbourne, Waterhouses, Wetton Mill, Hulme End, Hartington, Parsley Hay and Tissington. 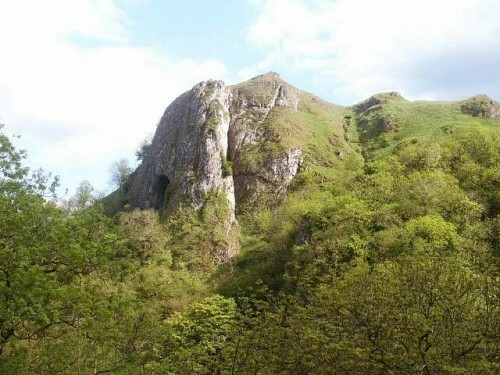 Beeston Tor, a limestone crag popular with rock climbers. 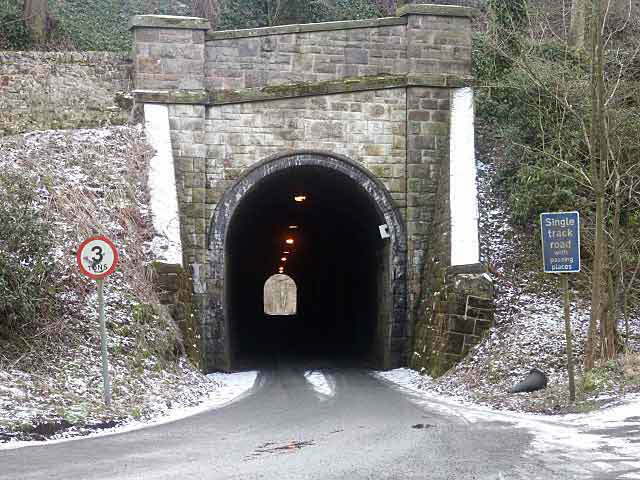 Thor’s Cave with its mighty 60ft high entrance standing 360ft above the River Manifold. 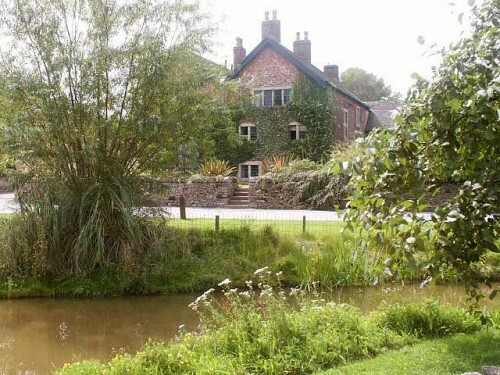 Wetton Mill an old water mill once used for grinding corn now a popular spot with its tearoom and National Trust owned holiday cottages. Wetton Mill is the place where the Manifold disappears underground during dry summer weather. 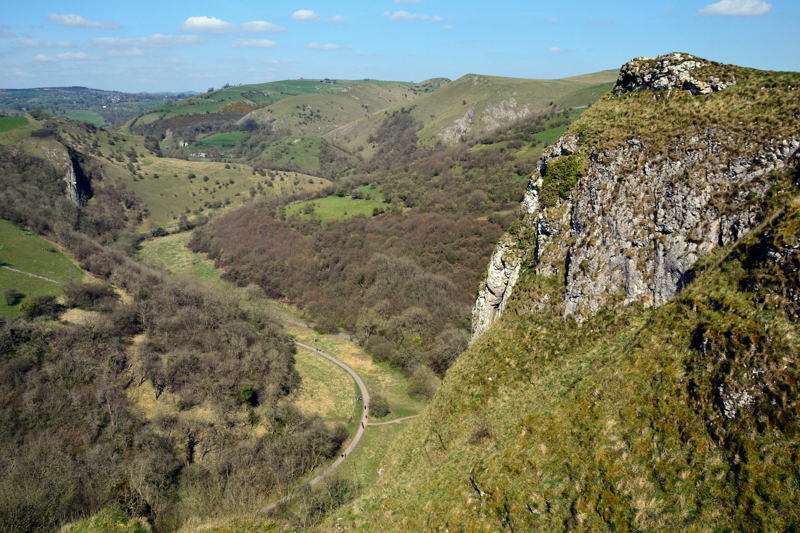 The river sinks down swallow-holes reappearing 4 miles away at Ilam Hall. 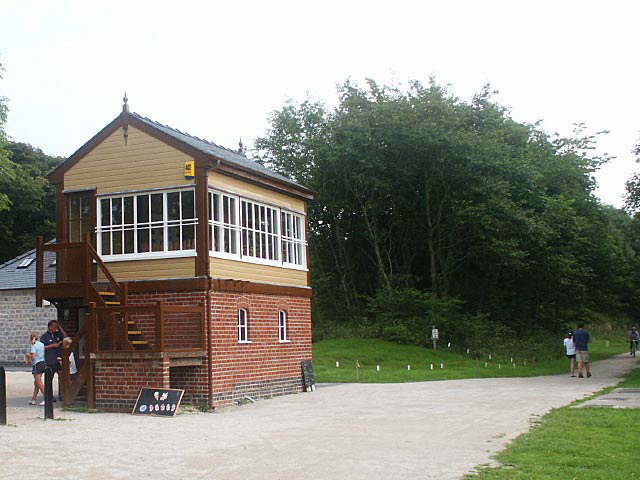 The Manifold Valley Visitor Centre situated in the former ticket office of the Leek and Manifold Valley Light Railway at Hulme End. 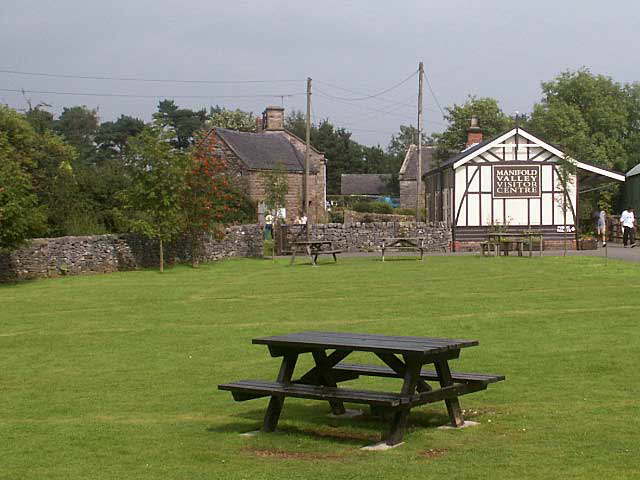 Facilities include picnic tables, cycle racks and a scale model of the old railway. Adjacent is The Tea Junction tearoom serving a selection of food and drinks. 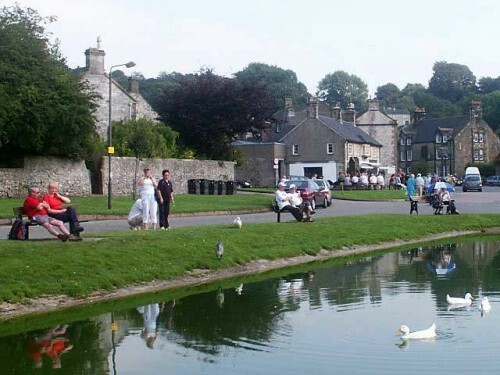 Hartington famous for its cheese making grew up around the market square. 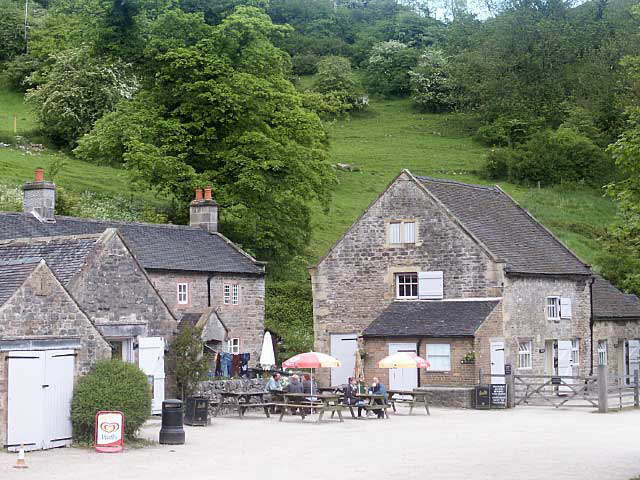 There are plenty of opportunities here for refreshment with pubs, hotels, shops and cafés all flanking the attractive market square. The restored signal box at Hartington, now a visitor centre. 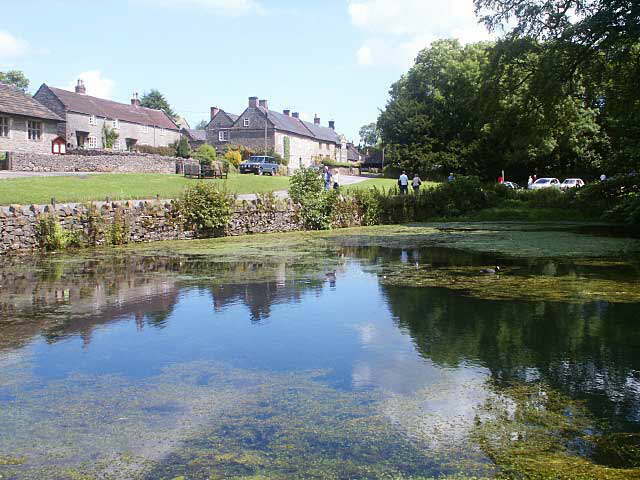 The picturesque village of Tissington, famous for its well dressing that takes place on Ascension Day each year. 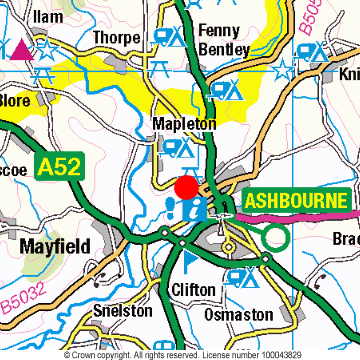 This is a 36 Mile cycle ride starting from Ashbourne, although you could start at a number of points along the route. The time taken excluding stops is approx. 3 hours, but do allow all day. 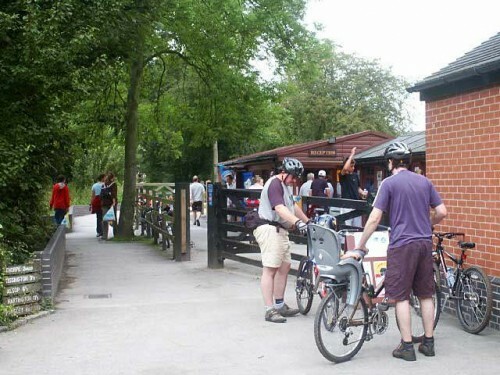 There are cycle hire facilities at Ashbourne, Waterhouses and Parsley Hay. 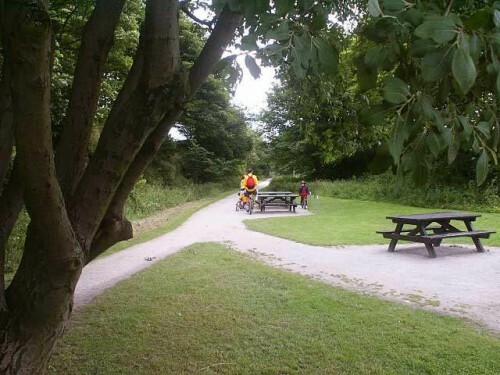 This route links the Tissington Trail with the Manifold Trail, the two trails are very different not just in riding surface but also the immediate environment. 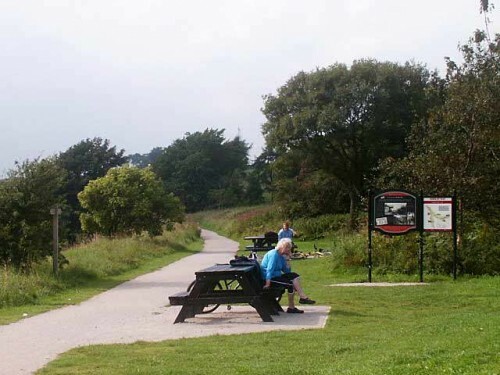 The Tissington Trail is open with views across both sides of the trail. 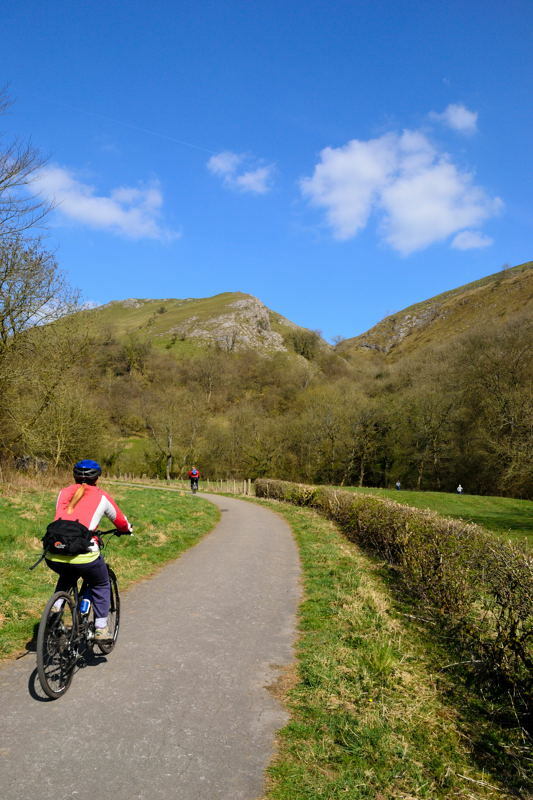 The surface is mainly gravel based, the route is best done in a clockwise direction to take advantage of the slight gradient on the Tissington Trail. The Manifold Trail is enclosed in a valley as it follows first the River Hamps and then the Manifold, passing beneath Thor’s Cave past Wetton Mill and onto Hulme End. 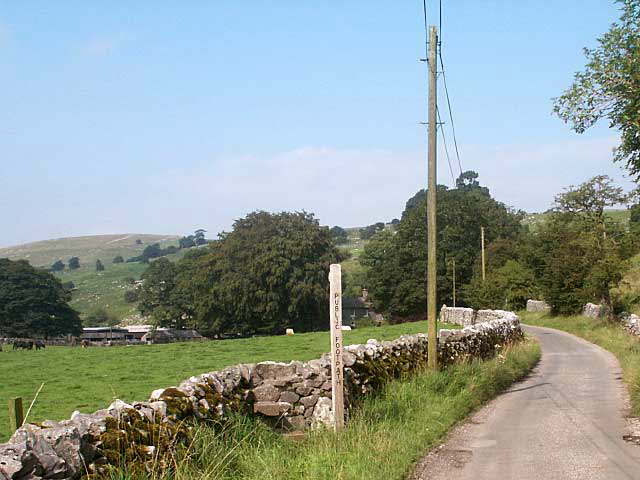 The surface is tarmac although very bumpy with a short section of quiet road between Wetton and Ecton. The road section between Mapleton and Waterhouses is very hilly and would be considered quite strenuous, as is the section between Pilsbury and Parsley Hay. 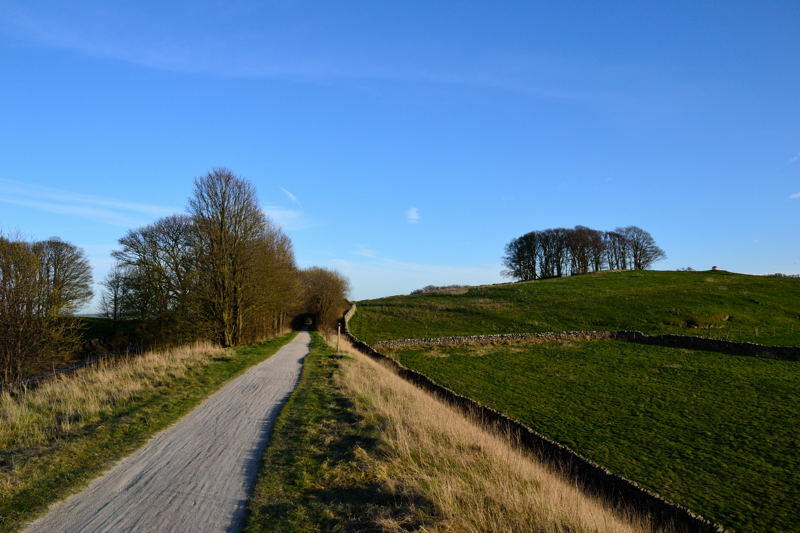 The majority of the A road just after Blore down to Waterhouses can be avoided by taking a rough track that bears left off the major road at Miles Knoll. 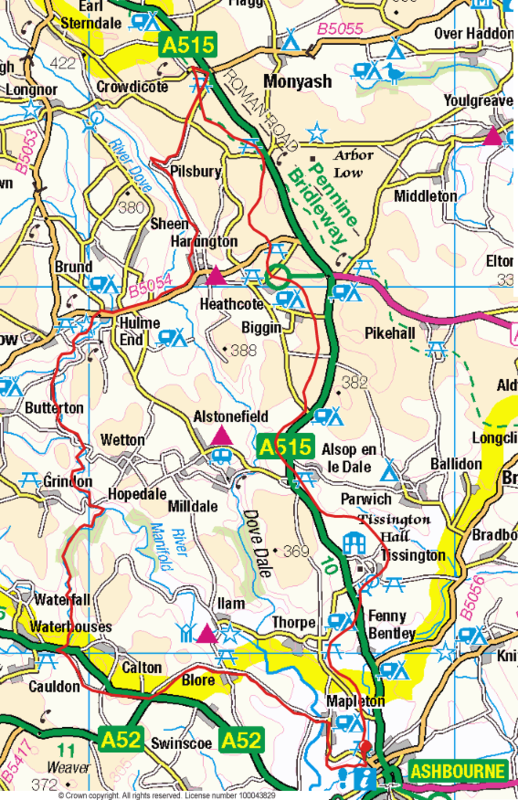 There are no route finding problems on the two trails but please refer to the Ordnance Survey Landranger map ref: 119 for the road sections. I would advise everyone to wear a cycle helmet. Don’t forget to give way to pedestrians on the trails and watch out for dogs, they have a tendency to walk right in front of your wheels!! Note: Some of the photographs used to illustrate this cycle route were taken from previous walks.